Last week we celebrated my husbands birthday with a mini vacation and it was wonderful! Floating in a hot pool, cocktail in hand, gazing at the stars in the sky - bliss :) I'll write more on that soon. Last week was so relaxing that my sleep pattern started to resemble that of my cats haha. Last week I ran another trail race (which was not muddy this time). I'll get my race report written soon! Last week I celebrated a midwinter Christmas with lots of my favourite foods and drinks. Last week I watched a whole season of Sense8 and Friday Night Lights. Last week was the last choir session for this term so we all brought a plate of food to share and socialised for a while. Last week was a really fun week! Here we are in June and just days away from the shortest day. 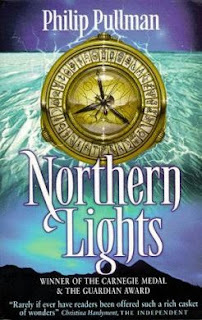 Reading: I haven't started a new book yet, but I looked out Northern Lights by Philip Pullman to start reading. 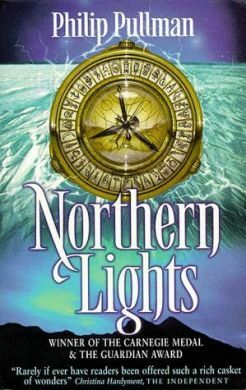 Kane read the His Dark Materials trilogy a while ago so we have all the books in our house and I've been meaning to read them for some time. Also, The Forever War by Joe W Haldeman is ready for me to pick up from the library. Watching: Again, I have quite started watching anything yet. I finished Game of Throne, season 1 of Friday Night Lights and Daredevil. True Detective is starting soon and I think there is a new series of Orange is the New Black to watch. I expect I'll be starting on season 2 of Friday Night Lights soon and I've got season 2 of Vikings to watch too. Eating\Drinking: Got some excellent food and mulled wine at the Lions Club Midwinter Dinner on Wednesday. I look forward to Kevin's slow cooker mulled wine all year! Needing: To sort out presents for several up coming birthdays and post a baby gift. Wanting: Some new workout clothes. Loving: How everything is really starting to come together now at choir. Wishing: That housework faeries were real things. My life this week seems to have revolved around watching sport! 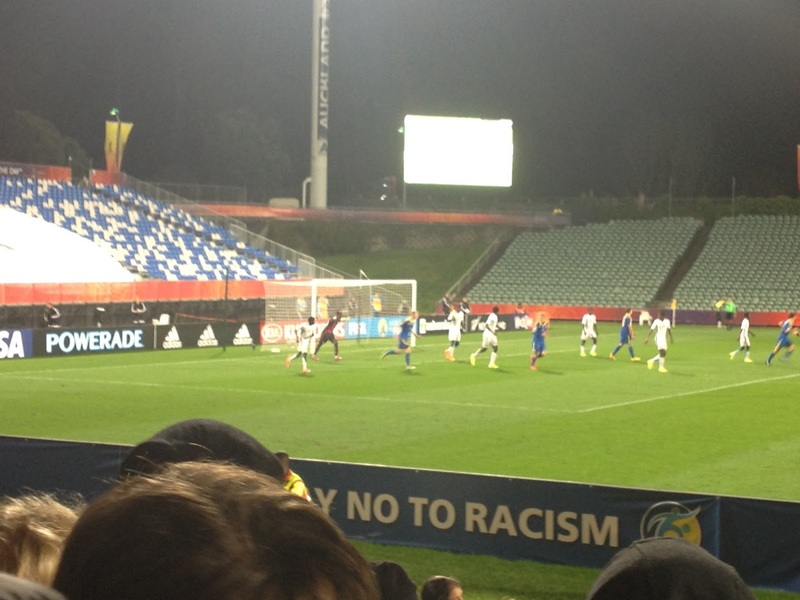 On Wednesday it was a FIFA U20 football match between Ukraine and Senegal. I'm not really a football fan but Kane is and he had bought tickets for all the Auckland group matches plus the final which is next week, which have all been held at North Harbour Stadium. I enjoyed the stadium atmosphere, the Ukraine fans were very vocal with their songs, chants and cheers. The game went to extra time and then to a penalty shoot out and unfortunately it didn't go their way and Senegal won with the final score as 1-1, with 1-3 to Senegal on penalties. Often at sports matches vegetarian food is limited to hot chips, so I was impressed to see that falafel wraps was an option and they were tasty too. Later on we got some donuts, which were nice enough but not even close to value for money. On Thursday sport came in the forms of our ice skating class and then watching the last of season one of Friday Night Lights. I'm really enjoying this show! It's an older show that ran for 5 seasons and its centred around a high school American football team in small town Texas. I'll be starting on season 2 very soon! 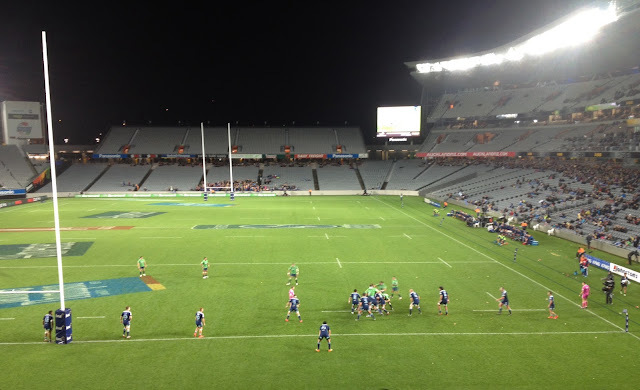 Friday took Kane and I to the rugby at Eden Park and the last Blues game of the season. It was a massive defeat and the Highlanders won 44-7. It had rained beforehand and the Blues have performed poorly this season so the stadium was pretty quiet. We put a blanket down on our seats to stop us from getting too wet and the security lady chatted to us for a while since there was hardly anyone in our stand. The donut girl from the football appeared selling donuts but we weren't buying this time. At half time it started to rain pretty heavily again and we had to move to seek some shelter. We got seats under cover at the opposite end of the stadium but I was wet, cold and grumpy by this time! I was up early on Saturday for hot yoga. It was a different instructor from usual, and it was nice to have that change. I decided to stay and do the yin yoga class that followed because I felt that I needed a good stretch - this turned out to be the best idea. In the late afternoon we headed out to the ice rink once again, but this time it was to watch ice hockey and the first home game of the season. 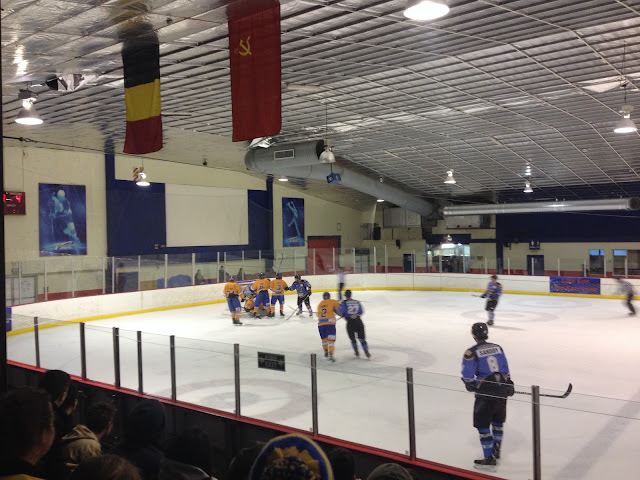 The West Auckland Admirals got beat by the Southern Stampede 3-11. I was on the lookout for the donut girl, but there were no donuts on sale here - a gap in the market? 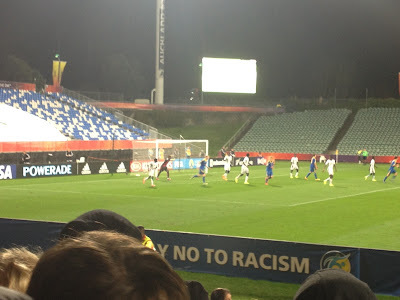 The high of my week was watching an exciting FIFA U20 Football game between Ukraine and Senegal that went down to a penalty shootout. 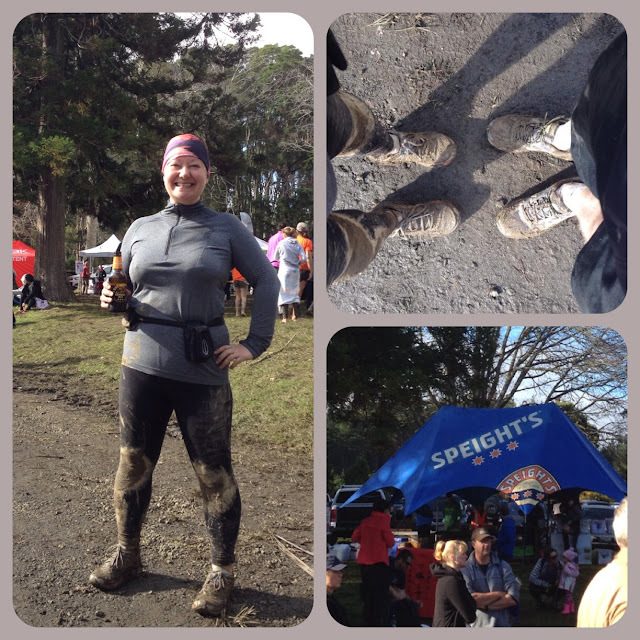 The low of my week was being sick for a couple of days after the super muddy trail race on Sunday. A book I'm reading is .. none. I just finished A Viking Moon and I'm trying to decide what to read next. For my workouts, I completed one hot flow yoga class and one extra muddy trail race that wiped me out for the rest of the week. The best money I spent was on a peanut and pretzel chocolate bar! My plans this weekend include watching a rugby game, hot flow yoga, knit in public day, ice skating class, watching an ice hockey game, and choir. The day before the race I went to a morning hot flow yoga class. It was a great class and I really got a lot of it. Later in the evening I went to a Blues rugby game but being aware of our early start, we didn't hang around after the afterwards. After working out the logistics for getting to the race, we didn't have to get up too early and had plenty of time for a relaxed breakfast of porridge and coffee before we left the house at 8am. Getting to the race was super easy, even if we hadn't used google maps the direction in the race email sent the day before and the Total Sport signage along the way made sure that we go to where we were going without any problems. Once we saw the huge line of parked cars along an otherwise empty country road, we knew we were in the right place and parked up. It was a very short walk to registration to pick up our bibs and chips. After the last race where they ran out of safety pins, we decided just to bring our own this time. I think many other people did the same and there was no shortage of safety pins this time. 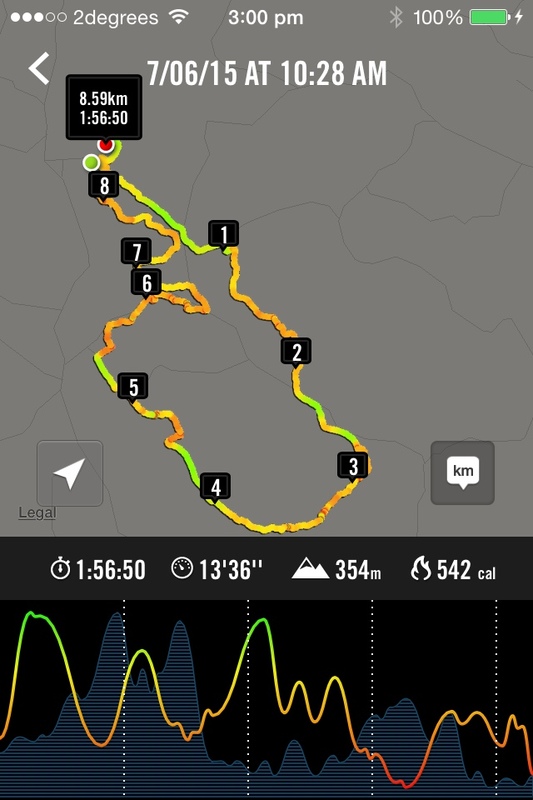 The first kilometre was my fastest as we started running up a gravel road before turning off into the forest trail. 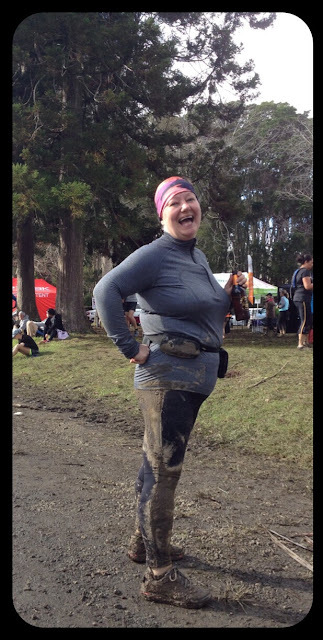 As soon as we entered the forest we were presented with mud and this set the tone for the rest of the race. I wasn't able to do much running as I kept sliding and often my legs go one way and my upper body in the opposite direction, arms flailing wildly trying to stay upright! There were about 3 points that had vertical drops and whilst we managed to negotiate 2 of them staying upright, on one we had no choice but to bum slide down. I accidently stomped into a muddy puddle once and twice slid and fell over into the mud. I saw it happen to plenty of other people too so I know I was in good company! The few times where we could pick up the pace we did but it was all very slow going. 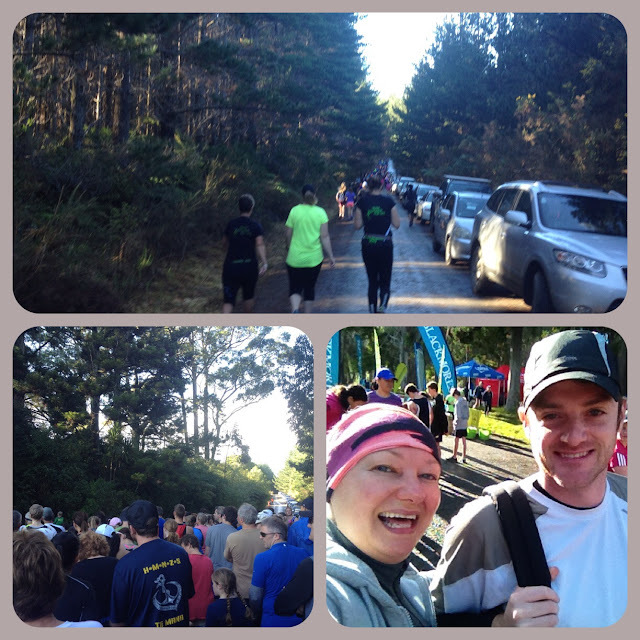 I finished with plenty of energy left - a real contrast to the last race! My inexperience with trails and in particular negotiating mud is really noticeable in my time. I saw a couple of injuries on the course, and I heard one woman's Achilles snap which still makes me feel ill thinking about it. Again we got a One Square Meal (apricot flavour this time), cooked onions on bread, and a Speight's summer ale. Due to not have a change of clothes or towels, and certainly not wanting to get mud all over the car, we had to try and discretely remove our muddy clothes at the car and then drive home in our underwear and hoodies! Week 6 again but this time I managed that 15 minutes segment - yeeha! Day 1 and 2 I managed a couple of weeks ago and then I repeated Day 1 again the following week. Day 3 was finally achieved yesterday. It was a challenge for sure, but mostly a mental one. The constant inner dialog telling me I can't do it, it's too hard, I'm too hot, I'm too tired, I shouldn't do it, it's ok only do 5 minutes/10 minutes, I've already done enough. I reminded myself that just a short while ago 5 minutes was phenomenally hard and at 10 minutes I was still feeling good. I reminded myself that I didn't hurt and my breathing was steady. I reminded myself of the tasty baked potato I had waiting for me afterwards. I reminded myself of how good it would feel to write this blog post and say that I did it! Sometimes I catch myself in negative self talk, like big deal it's only 15 minutes, other people run marathons but I try to banish these thoughts and celebrate the fact that I can do something that I couldn't do before. Last week we were given a real taste of winter with a cold blast from Antarctica and lots of heavy rain and gales. Our newspaper does like to sensationalise! Sometimes when its cold, dark and miserable like that it can be difficult to find the joy in the season! 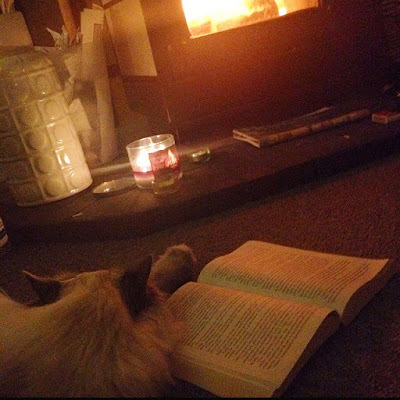 But making our first fire of the year, cosying around it, and making some warm hearty meals reminded me that there's lots to look forward to this month and the coming winter months. In Season: brussel sprouts, pumpkins and squash, chillies, citrus, leeks, parsnips, swedes and turnips, hazelnuts and walnuts. Eat: porridge, Ready Brek, brussel sprouts, heaps of mandarins, nuts in their shell, rhubarb crumble, Christmas pudding if I can find some! casseroles, mashed potatoes. I recently roasted brussel sprouts for the first time and they were very good, I still prefer them steamed, but I'm inspired to try out a few new things this month. Drink: Mulled wine, hot chocolate, Guinness, sherry, port, rum, Twinnings lemon and ginger tea. 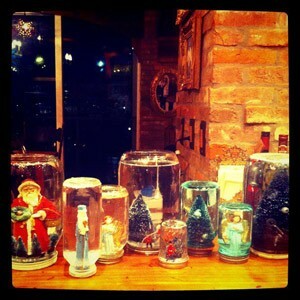 I really hope the farmers market will start selling take out cups of mulled wine soon. 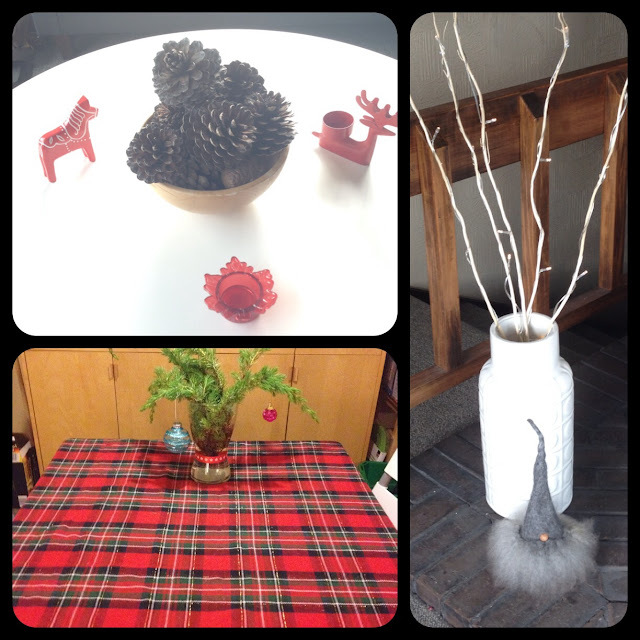 Decorate: fairy lights, twigs, pine cones, reindeer, red and green candles, and its time to get the red tartan table cloth on. Wear: Thermals, nordic leggings, reindeer onesie (I got it as a gift from my sister), après ski jumpers, ear muffs. Workout: Trail running, hot yoga, ice skating. This is a public holiday in NZ and the last one until Labour Day in October. I haven't been to NZ Fabrics and Yarn in the Queens Arcade since it opened and I recently found out that they have knitting and crafting groups on Monday nights and Wednesday afternoons. I'm hoping to get along to this knit in public day as well as one of their meet ups. This is Maori new year. For some reason this celebration isn't that popular yet in New Zealand but there are often free events and each year it grows bigger. There has been talks in the past of changing the Queens Birthday public holiday to become a Matariki public holiday instead. I've never been to Queenstown, but this week long celebration of the start of winter has been an annual event for 40 years. 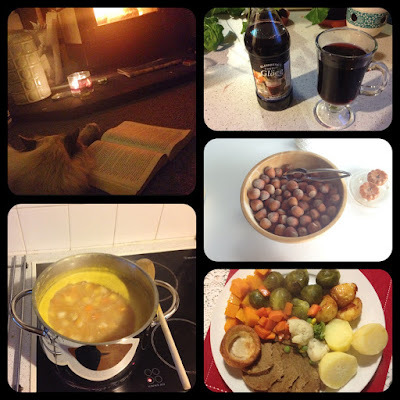 I do love to celebrate Midwinter Christmas and I know I'm not alone because between June and July there are lots of Midwinter Christmas events. My Lions club has a dinner every June, and the Alexandra Park (harness racing) hosts dining package. There's other stuff like craft markets and dinner shows but my favourite thing is to cook up a big tasty dinner at home of all our winter favourites.